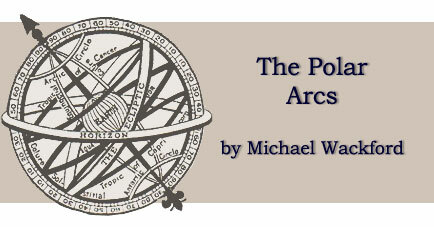 In part III of his series on celestial division, Michael Wackford turns his attention to semi-arc houses, which divide the celestial sphere quite differently from methods previously discussed in Polar Houses. Separating this type of division from the rest helps to reinforce the crucial difference: other quadrant divisions are static geometric conceptions whereas 'Placidus' maps the moving heavens according to their appearance. Semi-arc houses are generated by the same combination of factors that produce the Ascendant: our rotating planet and the observer's local horizon. The idea that underpins them - an idea that is fundamental both to astrology and to observational astronomy - also forms the basis of the 24 planetary hours and the 36-fold division adopted by Michel Gauquelin. Yet the twelve houses have been one of the most badly represented and, therefore, poorly understood features of horoscopy. In view of past confusions it is necessary to re-appraise the system and to do so with little recourse to either the Ecliptic or a horoscope. As with the Campanus and Regiomontanus divisions, which cannot be properly assessed via the two dimensions of a chart-wheel, so with Placidus the horoscope is of little assistance. - As with the first part of this series, discussion will concern mainly northern latitudes but, as before, the principles outlined apply globally. - Although discussion concerns houses above the local horizon, 7 to 12, the principles outlined apply equally to houses 1 to 6. - The North/South Meridian is an imaginary line in the sky that separates east from west and generates the horoscope's MC. It rises up from the South Point of your local horizon, passes overhead and then descends again to the horizon, which it rejoins at due north. A star rises in the east and arches up across the sky, reaching its highest altitude as it passes over the North/South Meridian, where it is said to culminate. Thereafter the star arches down toward the western horizon where it passes from view, or sets. The duration of this journey and the altitude at which culmination occurs each depend on the geographic direction of the point at which the star first ascended. Stars that ascend exactly to the east rise higher than those ascending to the south-east and are visible in the sky for longer. The geographic direction of their rising points also determines the direction in which the stars set, with those rising exactly in the north-east setting to the exact north-west. Stars that rise exactly to the east must set exactly in the west, while a star that rises just 5 compass degrees east of due south will set 5 degrees to the west of the South Point. Imaginary trails created by all stars, as they traverse the sky from the eastern horizon to culmination - or from thereon downward to the western horizon - are known as semi-arcs, or diurnal semi-arcs. Likewise, the lines along which stars traverse the celestial sphere below the horizon are known as nocturnal semi-arcs. Here the terms diurnal and nocturnal refer not to night and day, but to whether the semi-arc in question is above or below the horizon. The full diurnal arc of a star is therefore the path it follows as it crosses the visible sky, from eastern to western horizon. Placidus houses are demarcated in the sky by further imaginary lines, to left and right of the North/South Meridian, by which all diurnal arcs are divided into six sections of equal length. As with the Campanus division, these house-boundaries all commence at the South Point and then fan out across the sky, to east and west of the North/South Meridian. They divide that part of the heavens into six sectors of equal celestial space. These lines also provide an incidental division of the Zodiac, which also arcs across the sky from east to west, with Ecliptic cusps created at the points where house-lines and Ecliptic intersect. Many misleading descriptions of the system imply that Placidus is a temporal division of no more than the Ecliptic; a mathematical device that yields Ecliptic cusps to the exclusion of all other space. It in fact divides space, as does any other quadrant system. Unlike those schemes, which divide each celestial quadrant trigonometrically, this method's equal division of contiguous semi-arcs cannot be modelled by spherical trigonometry. Since the length of each semi-arc also represents its temporal duration, the passage of time is thus reflected and both time and space are equally divided. Planets also move along their own semi-arcs, as they are carried across the sky, and it is their location along these arcs that determines their true house positions within the horoscope. Any planet found exactly upon the eastern horizon is by definition conjunct the 1st house-line, after which the Earth's rotation carries this body upward through the 12th house. A planet that is one-third of the way to culmination is conjunct the Placidus 12th. Planets found two-thirds of the way are conjunct the 11th house-line, with those exactly culminating conjunct the 10th. Since the only house-boundaries with any apparent physical existence are those of the 1st and 7th houses - as embodied by the eastern and western halves of the local horizon - all other house-lines, including the Meridian, must be derived from a theoretical construction. While other house divisions obtain theirs by adding a static spherical structure to that horizon, Placidian lines are produced by the motion of the local skies, as is the rising degree. These house-lines are therefore natural extensions of the local horizon, meaning that the intermediate cusps of the horoscope are generated in the same way as the Ascendant. With the semi-arc model this includes the MC degree since the North/South Meridian, which yields the 10th cusp, is constructed by the Earth's rotation in the same way as any other intermediate house-line. There is however a marked difference between the Placidus 10th house-line and those separating the intermediate houses. The 10th house-line is, quite incidentally, part of a great circle, which is amenable to spherical trigonometry. The MC's Ecliptic degree is thus relatively easy to ascertain; but this is not the case with the house-lines that create other intermediate cusps. Indeed the unspherical nature of this division - known as the oblique sphere in translations of Ptolemy's Almagest - is best demonstrated by the shapes of the intermediates' curves. It is precisely those trigonometrically indefinable curves - in contrast to the incidentally circular North/South Meridian - that have caused so much confusion. Without the convenience of trigonometry, calculation of the other cusps is both tedious and time-consuming, as are primary directions reckoned in the Zodiac. Placido de Titi was able to circumvent such calculation because he had access to hand-written tables, compiled for the purpose by Magini, but as these were not publicly available he devised alternative shortcuts for his manual, Primum Mobile. This book clearly warned that cusps obtained by the shortcuts, which use trigonometry to approximate the real house-lines, were no more than serviceable approximations, but Placido's caveat went largely unheeded by later commentators. This failure resulted in the widespread misconception that the makeshift trigonometric version of these houses was the system itself and it was criticised accordingly. It also contributed to almost universal acceptance of the notion that the semi-arc model could not be applied in the Polar Regions. At the Equator, all of the heavens rise up from the eastern horizon, pass over the North/South Meridian and then set. In any 24-hour period, all of the sky might be observed, but only half of it is visible at any one moment. Day and night are always roughly equal and last about 12 hours each. At the Poles, only half of the heavens are ever seen and no star rises or sets. In any 24-hour period, the visible half of the sky simply rotates through 360 degrees, around the observer's head. Here, day and night are again equal but now last six months each. At all locations in between, both motions are observable, with day and night rarely of equal length. Stars that would be overhead in the Equatorial regions rise and set, while those nearer the Pole do not set at all. Looking south from latitude 55 north, stars that rise in the south-east, to the observer's left, arch up through the 12th, 11th, and 10th houses, and culminate over the South Point of the horizon. They then pass down through the 9th, 8th, and 7th houses, before setting in the southwest, to the observer's right. Looking north from this location, the Pole star is found elevated 35 degrees above the North Point of the horizon, with nearby stars appearing to orbit around it, taking 24 hours to make one revolution. Much of the sky above London follows this motion. This drawing depicts some of the skies and the entire western horizon at latitude 55N. The left and right edges both represent sections of the North/South Meridian, while other lines depict part or all of the semi-arcs of a number of stars. Semi-arcs commencing from the left are shown in their entirety, while those entering from top edge are but partial representations. Lines that join the right-hand edge, instead of the horizon, represent the arcs of stars that cannot set at this latitude. Many thanks to Robin Heath (after Thom) and Wooden Books for allowing reproduction of the image above, which appears in Robin's Stonehenge. Standard definitions of the semi-arc system describe the southerly perspective only, so they limit the scheme to those parts of the sky that rise and set. This becomes a problem at and above the Arctic Circle where increasingly long sections of the Ecliptic, commencing with - and fanning out from - 0 Cancer, never set below the horizon. Standard definitions of the system may exclude these sections of sky from a Placidian horoscope but clearly it is the definitions that are limited, not the method of division. The system will extend its houses all the way to the Pole Star, provided the northerly motion of the sky is taken in to account. Stars that never set rotate inside this circle, passing backward through its houses (as they do in the southerly perspective). They have no nocturnal arcs to divide but their diurnal arcs can be divided in exactly the same way as those to the south. Since these stars do not set, they should never appear in houses 6 to 1 - and so it is with this arrangement. On leaving the 7th house, stars and planets pass not to the 6th but straight back into the 12th, rotating perpetually within houses that are always above the horizon. In the invisible skies underfoot, a complementary circle containing sections of houses 6 to 1 rotates around the South Pole. These circles of the heavens are referred to as the circumpolar zones. They are virtually non-existent near the Equator but grow larger as geographic latitude increases and dominate the sky in more northerly latitudes. Including them in horoscopy - by recognising their different qualities - provides an elegant and natural conclusion for Placidian houses in the Polar Regions. This resolution is not however without difficulties, the least of which concerns its depiction in a modern horoscope. The chart format in common use today is essentially a product of the lower temporate and Equatorial regions, where most of the heavens and the entire Ecliptic all rise and set. A circular chart-wheel, with the horizon represented by a central axis, will serve signs, stars or planets that all rise and set, but it cannot be expected to reflect the nature of the Polar skies. Conversely - and crucially - the Polar skies cannot and should not be expected to conform to a horoscope format that models an entirely different celestial phenomenon. It is precisely this expectation that is built into the design of most methods of house division, including the semi-arc system as usually defined, and it is why most ill-serve the Polar Regions. In a further departure from the Equatorial model, Polar application of the semi-arc system will not always yield Ecliptic cusps as it does at lower latitudes. As depicted in the last diagram above, all intermediate house boundaries except the 10th join the numbered circle at a tangent and turn 90 degrees in toward the Pole Star. Above latitude 66½, there will be moments when the Ecliptic straddles one of the resulting 'corners', and it may be argued that the house in question has two Ecliptic cusps. These may also fall in different Zodiac signs but even this cannot imply any ambiguity in respect of a planet's location; true planetary house position is not measured in the Ecliptic. However when one intermediate house appears to have two Ecliptic cusps, there will be another with no cusp at all. This does not mean that the house does not exist; indeed it may continue to contain planets but it will not touch the Ecliptic at every moment in any 24-hour period. To have one house with two cusps and another with none would be quite unacceptable, were this division based upon spherical geometry. Such phenomena are however quite natural in a method that invokes and reflects the real skies, as they appear to the circumpolar observer. This issue will be further explored in the next paper. At lower latitudes planets spend equal amounts of time in each of the houses above the horizon. By including the motion of the circumpolar heavens, the system accords the same equality to planets visible above an Arctic horizon. This temporal equality also ensures that all 12 houses contain equal areas of celestial space and that, in any 24-hour period, all planets have an equal chance of tenanting any available house. There are greater advantages to be gained by respecting Polar celestial motion, along with other difficulties, and these too will be addressed in the next part. The entire semi-arc construction - from Pole to Pole - at approximately 40N. 1 ] While degrees of the Zodiac will locate a planet's exact position within a sign, exact position within a house must be determined by the structure of whichever method is in use. As such, Ecliptic longitude alone will seldom indicate a planet's exact house position within the semi-arc, Campanus or Regiomontanus systems. When a planet has much Ecliptic latitude, its longitude will often place it in the wrong house altogether. Ecliptic longitude will determine exact position within the Equal House system and it will also be of some assistance with Porphyry or Natural Graduation. Planetary house position has not been properly defined within the Topocentric system and it is ambiguous under the methods of Morinus and Koch. 2 ] These qualities were also claimed in respect of the Topocentric method but its authors employed mathematics that do not reflect such ideas. 3 ] This statement appears to be untrue; a correction follows at the end of the next paper. 4 ] Many otherwise able astrologers have insisted wrongly that great circles comprise the semi-arc system. Any definition that refers to 'poles', in respect of intermediate house cusps or planets, is in fact referring to the makeshift construction. 5 ] This solution to the apparently intractable problem of Placidus houses is not new. It was first brought to this writer's attention by Neil Gillings, who had "fallen over it" in Margaret Hone's Modern Textbook of Astrology. This drawing was originally published in the German astrological journal Zenit, as part of a series by Otto A. Ludwig, commenced in June 1930. These articles were later translated and republished in Les Cahiers Astrologiques (Nov-Dec 1949, page 324), the source cited by Mrs Hone. [Many thanks to Dieter Koch, who established its true provenance.] The writer has seen a further diagram of the entire system, also copied from a French publication, but its origin is unknown. 6 ] There is a branch of Chinese astrology that deals only with constellations that turn about the Pole star, without setting. 7 ] Strictly speaking, only fixed phenomena such as stars spend exactly equal periods in each house. Since planets move against that fixed backdrop from hour to hour, there will be very slight temporal inequalities as a planet is moved from house to house. This slight variation is not properly accounted for under Gauquelin's method of calculating a planet's exact sector position; but since any discrepancy rarely amounts to more than one degree of (temporal) arc, it has no significant effect upon Gauquelin's overall results or conclusions. The Polar Arcs was inspired by the observations of Richard Neil Gillings (1919 -1988) and published in the sincere hope that he wouldn't have minded mind my sharing that which he started. He had, after all, undergone posthumous transits of Saturn to his 8th house Sun/Mars conjunction (Taurus) during the months preceding first publication of the series. Michael Wackford has studied astrology since 1976. For 11 years he studied and argued with the late Neil Gillings, a little known yet well-respected technical astrologer who was consulted by Ingrid Lind, Charles E. O. Carter, Roy Firebrace and others. The author has contributed articles to the AA Journal and the Traditional Astrologer and has also advised other astrologers. © Michael Wackford. Published online February 2008. This article was published in Correlation 21 (1) 2002/2003; pp.14-21. See also, the light-hearted addendum: It's the Oblique Sphere Stupid!